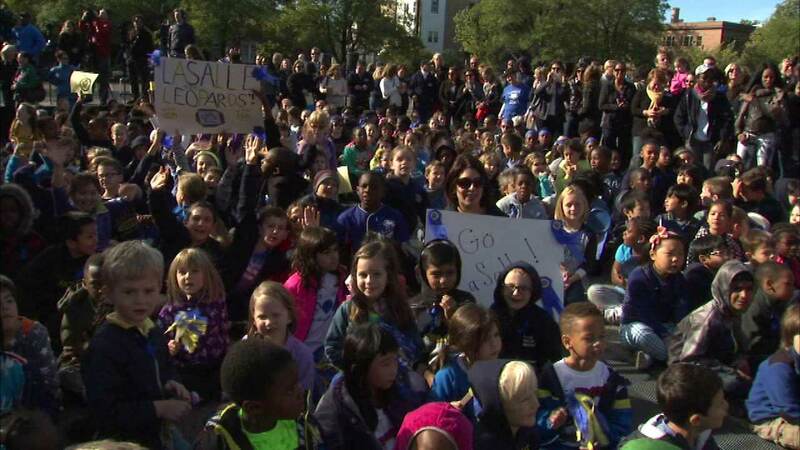 CHICAGO (WLS) -- Chicago's LaSalle Language Academy is celebrating its recognition as a Blue Ribbon School. Mayor Rahm Emanuel and schools CEO Forrest Claypool joined students and faculty for a pep rally Friday; 335 schools nationwide were recognized for their achievements in the classroom as part of the program. LaSalle is one of 16 schools in the state of Illinois to be honored. LaSalle is a magnet school for students in grades K-8 with a concentration on world languages and cultures.